Harry Potter themed nail polish box?? Get yours NOW!!!! The Cast A Spell box is available NOW! Available NOW!!! The Cast A Spell Box is bringing you 5 gorgeous polishes that are perfect for all of you wizards heading off to Hogwarts and the muggles who just wish they were! 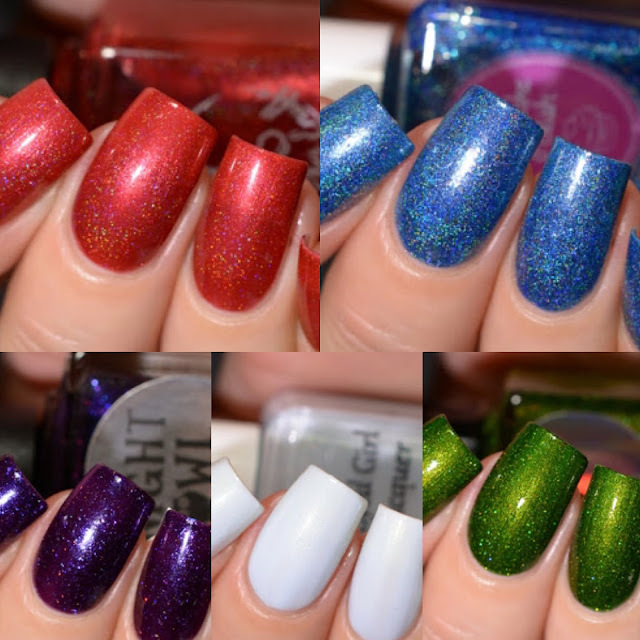 These 5 Harry Potter themed polishes are created just for you by Cupcake Polish, Nvr Enuff, Blue Eyed Girl Lacquer, Night Owl Lacquer, and Stached Polish. The Cupcake Polish featured in this box is called Expecto Patronus and you do NOT want to miss out on this beauty! Expecto Patronus is a gorgeous denim blue holo with very sparkly silver shimmers and silver flakies. This polish is one of my personal new favorites and I know you will love it too!